• Guts Casino Review - A Huge Selection Of Games? There is no such thing as purely logical decision! The best decisions are normally established on an amalgam of logic and emotions. The Casino Gorilla is particularly very passionate about following its intuition when deciding what online casino it gives his attention, and the ones to ignore completely. He possesses the capacity to feel, and thereby the ability to know the best things even without taking too much time reasoning. Today he decided to go with its “guts” in choosing to review and rate Guts Casino. Let’s find out if his gut feeling was right from the start or if he was just delighted with the excessive chocolate chimp smoothie he devoured this morning! Bonuses and promotional perks are rather bountiful at Guts Casino as there exists just about something to excite new and existing players alike. The welcome offer is particularly excellent for new players looking to start their escapade at a genuine, well-established casino site. The said welcome bundle includes a handsome 100% match bonus of up to £100 on your initial deposit. A minimum of £10 is required to activate this welcome offer and the free spins. To reward player loyalty, other promotional benefits are brought to players on a regular basis since the casino establishment in 2013. For example, Mondays is a special day for Guts Casino fans as they get rewarded with a special 40% reload bonus up to £40. Keep sharp look on the promotion page to avoid missing out on great, potentially money-spinning promotional offers. The welcome match bonus comes coupled with an amazing 100 free spins to enjoy on the ever-exciting Vikings slots. Set sail for the Guts shores today by simply creating an account, then deposit a minimum of £10, and the match bonus and 100 free spins will be yours. The 100 spins are divided 20 per day for the next five days after signing up. You will have 24 hours to play your 20 free spins, and 72 hours in total once they are credited to your account. The best news is, the free spins will carry no wagering requirements. Whatever you win with the free spins is added to your actual balance instantaneously. Amazing, right? The Casino Gorilla thought so too. This comes as great news for players who love to test a fresh casino site without having to risk their bankroll. At the time of writing and reviewing, Guts Casino didn’t require any form of Bonus Code or Promo Code to credit the welcome offer or any other promotion. As aforementioned, everything is simple with this casino, just register and fund the minimum and the bonus will be yours. However, deposits made via eWallets such as Neteller, Paysafe Card, and Skrill are excluded from this offer. Guts Casino gaming lobby is brimming, with nearly 700 slots games to choose from including 3d slots, classic slots, video slots, and progressive jackpot titles. Some of these slots include Double Exposure, Vikings, Red Dog, Let it Ride, Caribbean Stud Poker, Dream Catcher, Dragon Tiger, Jacks or Better, Tens or Better, Double Joker, Joker Wild, Fishy Fortune, Mega Jackpots Monopoly, and Hall of Gods among others. The diversity and multiplicity of games at Gut Casino is thanks to its reliance on a number of leading software developers such as Evolution Gaming, Sheriff, NetEnt, Microgaming, IGT, OMI Gaming, and Betsoft. With such a bouquet of providers, expect games with super graphics and sound play, and just about anything for any kind of player. 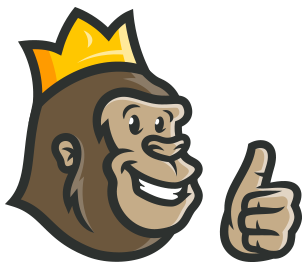 Like with other games, Guts offer an impressive range of Live Dealer Games, powered by Gorillas number one choice for live games—Evolution Gaming. This software provider giant shoots its live dealer games from the space-age studios in Riga, Latvia. The company has invested serious cash on their technology to bring you fast and clear streams. Blackjack, Roulette, Poker and Baccarat enthusiasts can expect to find a variety of live dealer versions at Guts Casino. Despite only being on the industry for about five years, Guts Casino manages to keep up with the trends in this competitive market. Part of this is the casino’s dedication to provide its members with greater convenience and flexibility across various screens. Guts Casino is available in instant play whether on mobile or desktop. Players can play over 500 games via portable devices such as smartphones and tablets across common operating systems such as Android, iOS, Blackberry, and Windows. All your dealings with Guts Casino are secured with the latest SSL technology, which implies that all your log in details, financial transactions, and gameplay are robustly protected. The fact that the casino is regulated and licensed by UK gambling commission (UKGC) and Malta Gaming Authority (MGA), some of the most advanced gaming authorities globally. The UKGC and MGA have the most sophisticated enforcing systems and regulatory rules that promotes responsible, safe, and fair gambling. One downer though, Guts Casino doesn’t publish any independent audits from reliable institutions such as eCOGRA. So far though, there is no widespread complaints about the casino’s unfairness of failure to pay out winnings. Even before needing to talk to a customer support staff member, Guts Casino provides players with a resourceful FAQ page where most issues you may encounter while navigating the site are already clearly explained. In the rare case you may need to interact with the support team, you can do so via several mediums that may be convenient to you. This includes 24/7 Live Chat support, Email, Facebook, Twitter, and Telephone (0800 032 1133—Toll-Free UK and +350 200 43003, International). While the casino is a global brand, for one reason or the other, players from over 50 countries are prohibited from playing at Guts Casino. Some of these countries include Yemen, USA, Israel, France, India, Portugal, Bulgaria, Romania, Singapore, Nigeria, Syria, Pakistan, South Africa, Ireland, Italy, Spain, Belgium, Kuwait, Jordan, Ethiopia, Iraq, Iran, and more. Guts Casino is a decent operator that gets most aspects of its operation right. 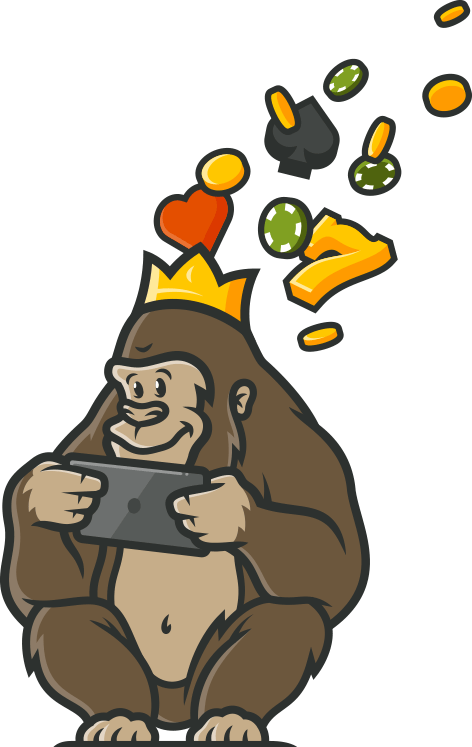 The Casino Gorilla was particularly jazzed by the sheer volume and diversity of casino games for both mobile and PC users. He was a little disappointed by the lack of independent audits on the casino’s website—he really, really loves those. That said, he gave Guts Casino an overall rating of 8.5 out of 10. Sorry US players, it seems you’ll miss out again. If your country is accepted, the masterful Gorilla recommends giving Guts a crack! Multiple deposit bonuses which is great when making smaller deposits. Free spin bonuses are a nice addition. Super game assortment, especially slots, but not many roulette games. It’s kind of an unusual name for a casino but it doesn’t take guts to spend money here. Everything felt secure and transparent, no shady business whatsoever. To be honest, I can’t really think of a criticism. Enjoyed my experience, the games are nice and the customer service is even nice. A solid recommendation from me!